I have a distinct memory of cuddling up in an oversized chair with Emma and Andrew when they were little and looking at a family photo album. They were turning the pages quickly when one picture caught my eye. I was certain I saw my dad. It did not compute because the picture was of an event that happened long after he had passed away. I made the kids turn the page back to look at the picture again. When I saw it this second time, I realized it was me! I looked a lot like my dad. Many have told me over the years that I look like a Nettesheim. Whether I am aware or not, this is who I am- this is my identity- I belong to the Nettesheim clan. Just like being a Nettesheim is who I am, both you and I belong to God. Our origin is from God the creator whose image and likeness we resemble. This is pretty awesome and overwhelming stuff when you consider the vastness of the universe. It is also affirming because it demonstrates to us that the default of creation was to be unified with God. Take one minute to ponder one way you resemble God. How do you reflect God to the world? Is it your love, compassion, empathy, willingness to forgive, joy and happiness or maybe your passion for justice? How did you do? Were you able to name something? If not, this is your starting point, our starting point for Lent: to learn and accept who you are. This is building block #1 in developing a relationship with God- know your authentic self as a child of God. My mom, her sons and her only Nettesheim grandsons. My mom is 87 and has been experiencing some health problems. Sitting with her after a procedure, she told me she was afraid to die. I asked her why. She told me she was not certain what would happen to her after she died. My mom raised 9 kids, has 36 grandkids and 18 great-grandkids. Her entire legacy has been about faith and family. She has sacrificed, loved and served all of us. If she is not going to be with God after she dies, none of us will. With great confidence I told her that I believed she would be with God right after she dies. She responded, I don’t think many do. My mom grew up in a faith that emphasized sin and punishment. Humans were bad and sinful. God was a judge to be feared, not a creator who loves us, delights in us and desires a relationship with us; not a God who sees us as good with the potential to show others the image and likeness of God. Unfortunately, my mom is not alone, I remember leading RCIA at a parish many years ago. During a retreat day for our sponsors and catechists I asked the leaders to share one gift or talent they bring to the group who is preparing to be initiated into the faith. One of my most trusted, valuable and engaged leaders said, “I hate this question. I have no idea how to answer this.” It made me sad. She was a faith-filled, caring, leader who was giving a positive witness to her relationship with God and she didn’t see herself as having value or gifts. There are many reasons why this might be. In the age of social media there are constant comparisons to others and quite frankly it is next to impossible not to play the game if: I was __________ then I would have value. We should not be surprised that anxiety and depression is on the rise. If we are not comparing ourselves to what we see, we are having to put forward images of an identity that is all front. It is not too often you see posts of someone’s dirty house or laundry or them writing about a failure or self-doubt. If Lent is a journey to freedom from sin and death, our first step is accepting our true identity as children of God. These are easy words that require difficult actions. Start by being joyful and grateful that we are created to be in relationship with God. Yet be humble. Although, we are created good, we remain the creation and not the creator. How do you resemble the image and likeness of God? What are the circumstances or mindset that prevent you from believing in your goodness and accepting God’s unconditional love? In whom do you most readily see the presence of God? What do they do? How will you let them know? Are you more comfortable reflecting on your sin or goodness? What does your answer reveal to you? What steps do you want to take this Lent to better identify God in your life? 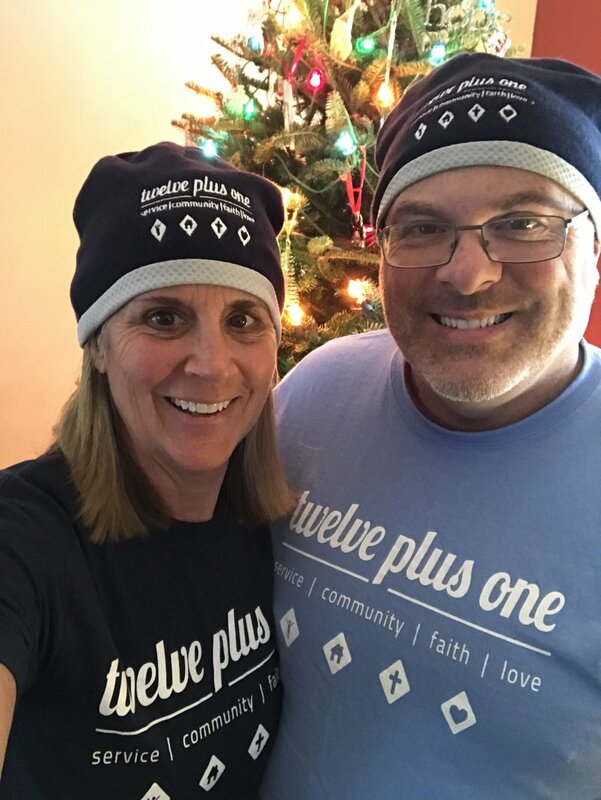 Joe Nettesheim is the founder and director of 12plus1. He has been a Pastoral Minister since 1991 serving as an Executive Director of Inspirio Youth Ministries for six years. It is his belief that to renew the Church the Spirit is calling us beyond doctrine and to become humble servants like Jesus caring for people as they are and allowing God to do the rest. Joe and his wife Maribeth have a blended family of five kids, eight grandkids and an “oafish” Golden Doodle named TS Eliot.